Rajgir: Bihar Chief Minister Nitish Kumar on Monday made an overture to his Uttar Pradesh counterpart Akhilesh Yadav, who is locked in a family feud, to enforce prohibition which he said will help him come out of the "family shadow" and win the state Assembly elections. "There is a saying in English — No risk, No gain... you are young... take a risk (of implementing prohibition) to come out of the family shadow and ensure victory in elections," Kumar said delivering his maiden speech as JD(U) national president in Rajgir, Bihar's Nalanda district. 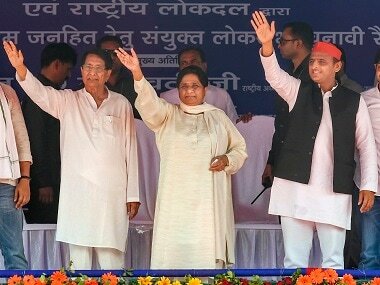 "You take the risk and I will strongly back you," said Kumar, who has made eight trips to UP in recent months with the message of prohibition and wants to play a significant role in the crucial Assembly polls there early next year by bringing together a strong grouping of secular forces. Coming down heavily on Samajwadi Party chief Mulayam Singh Yadav, Kumar said "We had offered him the post of president in the reunited Janata Parivar and also the head of the group in Parliament. 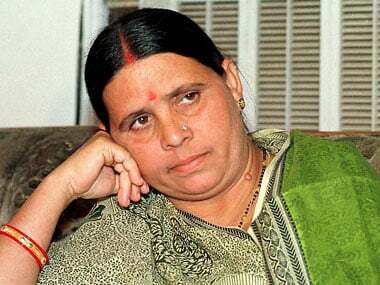 But, he walked out and the role he played in Bihar elections, it seems brought him a curse, which has been manifested in the intense feud in his party." Kumar was speaking at the plenary session of the two-day JD(U) national council meeting which ended today. His appointment as JD(U) president was ratified by the council in which over 170 delegates from 23 states participated. Kumar told party workers from across the country that the message of prohibition was a "positive agenda" to build a national alternative to the present dispensation at the Centre, which rode to power on the basis of "advertisement". The JD(U) plenary session started with an obituary to the soldiers killed in Pathankot and Uri terror strikes. "While we stand solidly behind the PM and the Centre on guarding our country from terror attacks and also do not support seeking proof for the strikes, it is duty of the PM to stop any party or leader putting out hoardings to take credit for this in view of elections," Kumar said criticising BJP leaders for putting out hoardings and praising the PM for the surgical strikes inside PoK with the UP elections in view. "Stop writing love letters to Pakistan and reply them strongly in the language they understand," he said. "Yesterday at the BRICS summit, the PM described our neighbour (Pakistan) as birthplace of terrorism. I support him and JD(U) stands solidly with the Centre on issues concerning our security and external diplomacy," Kumar said. On the issue of triple Talaq, the JD(U) president said "Our stand is clear. The issue should be settled by leaders and people of that community keeping in view the interest of Muslim women. There is no need for the government to interfere in the matter." 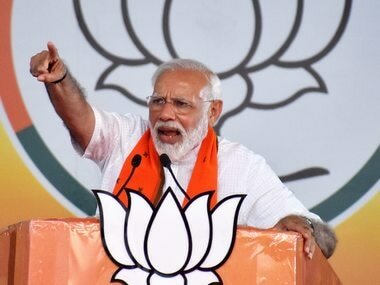 "Since 1996 we have made our stand clear that we are not in favour of Common Civil Code, tampering with Article 370 in Jammu and Kashmir and that the Ayodhya issue should be settled either through a court order or after agreement between members of the two communities," he said. Former JD(U) chief Sharad Yadav and former Jharkhand CM and JVM chief Babulal Marandi were present at the session. Marandi, who was invited at the plenary session as a special guest, was feted by Kumar and other leaders. 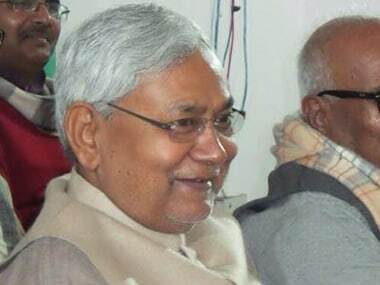 "The country needs a strong alternative and the responsibility is on you (Nitish) to explore the formation of this alternative," Marandi said, giving wings to JD(U)'s desire that Nitish Kumar play an important role in the national politics by uniting the secular forces. "Nitish Kumar, who has done a wonderful job in Bihar, is now wanted by people outside the state...Nitish Kumar as a credible face is wanted in the country where people are looking for a leader who does not have any discrepancy in words and deeds," he said. Praising Marandi for his work as the first CM of Jharkhand, Kumar said "Jharkhand will again prosper when Babulal Marandi as future CM will implement prohibition in that state like it has been done in Bihar." Kumar counted achievements of the grand secular government headed by him in Bihar and asserted that "rule of law" prevailed in the state. The Bihar CM reeled 2015 figures of the National Crime Record Bureau, which said while the national average of cognisable crime was 234.2 per lakh, it was 171.6 in Bihar. Nitish Kumar, Sharad Yadav, Marandi, K C Tyagi and other leaders came down heavily on the NDA government for renegading on Narendra Modi's poll promises. Sharad Yadav in his speech said BJP talks of one country, one law. On this, I say one country, one law and one caste. 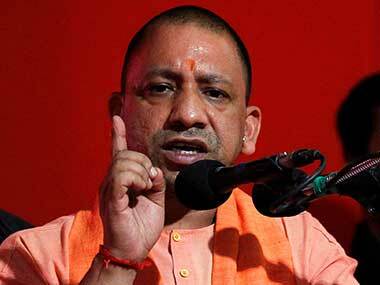 If BJP agrees on this I am with them," he said slamming the saffron party's stand on triple Talaq. Former Union Minister and JD(U) chief of Kerala, M P Veerendra Kumar recounted the historical and emotional connection of Bihar with the southern states and urged Nitish Kumar to play a significant role at the national level.